A charming royal adventure by YouTube star Connie Glynn (a.k.a., Noodlerella). When fate puts the ordinary Lottie Pumpkin in the same dorm room as princess Ellie Wolf, they decide to swap identities in order to live the lives they've always dreamed of. 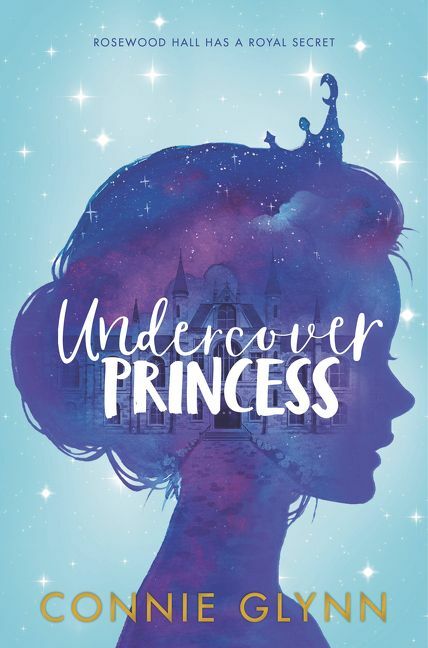 Perfect for fans of Meg Cabot and Shannon Hale, Undercover Princess is a charming royal adventure by YouTube star Connie Glynn (Noodlerella). Lottie Pumpkin is an ordinary girl who has spent her life longing for the extraordinary. Ellie Wolf is the crown princess of Maradova, who wants nothing more than a chance at an ordinary life. When fate puts Lottie and Ellie in the same dorm room at the prestigious Rosewood Hall, there’s only one solution: for the girls to swap identities, and live the lives they’ve always dreamed of. But at Rosewood, a secret never stays secret for long. Someone in the school is on to them—and if the truth is revealed, the results may be more treacherous than they ever expected. Undercover Princess is the first book in the Rosewood Chronicles series.